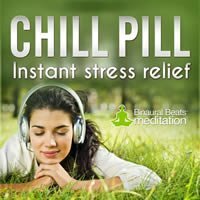 Chill Pill sweeps away stress, frustration and negativity, leaving you feeling chilled out and ready to face the world with a calm, positive aura. 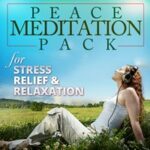 Using calming Theta frequencies underneath peaceful music, you will drift into a state of total relaxation. If you’re looking for a fast, natural stress reliever, our Chill Pill meditation is the perfect remedy. 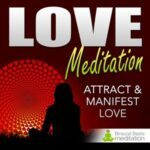 Meditation music has a positive, rejuvenating effect on the mind and body. 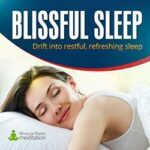 It slows the pulse and heart rate, lowers blood pressure and decreases stress hormones that promote illness and cause us to age faster. In fact, studies show that listening to music for relaxation prior to or after a stressful effect aids in lowering the endocrine and psychological stress response, and promotes faster recovery from the event. And our Chill Pill meditation is designed to do just that. 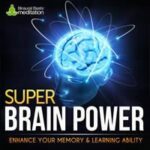 Using Theta wave frequencies underneath serene music, Chill Pill entrain your brain into deep relaxation. 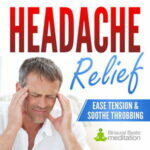 The result is a calmer, more relaxed, stress-free you. In addition, the music (instrumentation) is tuned to 528 Hz, a frequency taken from the ancient Solfeggio music scale that is said to promote peace, harmony and equilibrium in mind and body – leaving you feeling at one with the world. 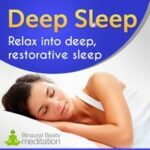 This two-pronged approach makes Chill Pill a far more powerful relaxation tool than normal meditation music. Chill Pill can be listened to at any time of the day, but the most common use cases are during breaks at work, and at the end of the day when you need to unwind. 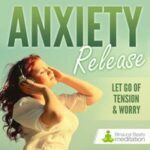 It's ideal for times when you feel stressed out from the hustle and bustle of every day life, or when you feel frustrated and uncomfortable by negative circumstances, or simply when you're not in a very good mood. For best results: find a quiet space such as a peaceful room, or the garden or park. Then put on your headphones, sit or lie down, close you eyes and lose yourself in the gentle piano as it spills over soothing chords. Download Chill Pill now for the ultimate relaxation experience.